Jennings McCall Center is proud to announce that after 28 years they have started remodeling their Independent Living. 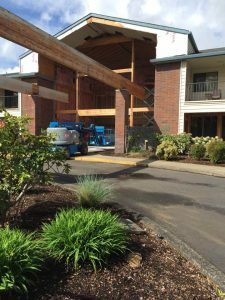 This will include the remodel of the main entrance, library, gym, and the creation of a clinic for Forest Grove Geriatrics. We are currently focused only on the clinic and main entrance. All areas should be done by the end of 2017. This remodel is only the beginning of a building wide process.